It wasn't my best week thrifting but it wasn't the worst. 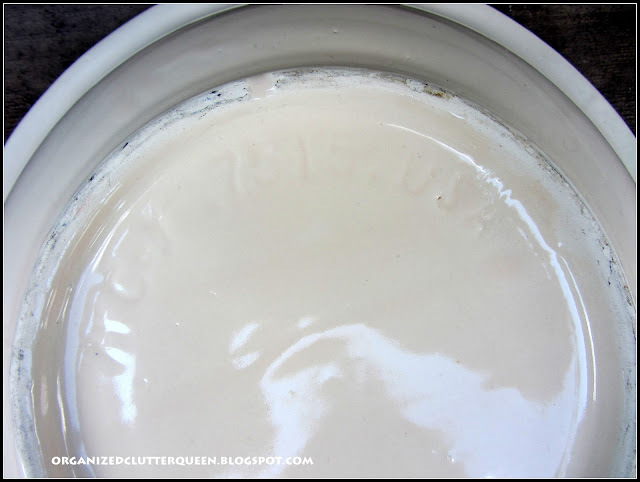 I have been looking for a vintage kitchen scale for quite some time, and I either thought the scales I encountered were too expensive or too distressed and shabby, or both. I found this Hanson 2060 model, 60 pound vintage utility scale in black at a consignment shop for $8 this week. 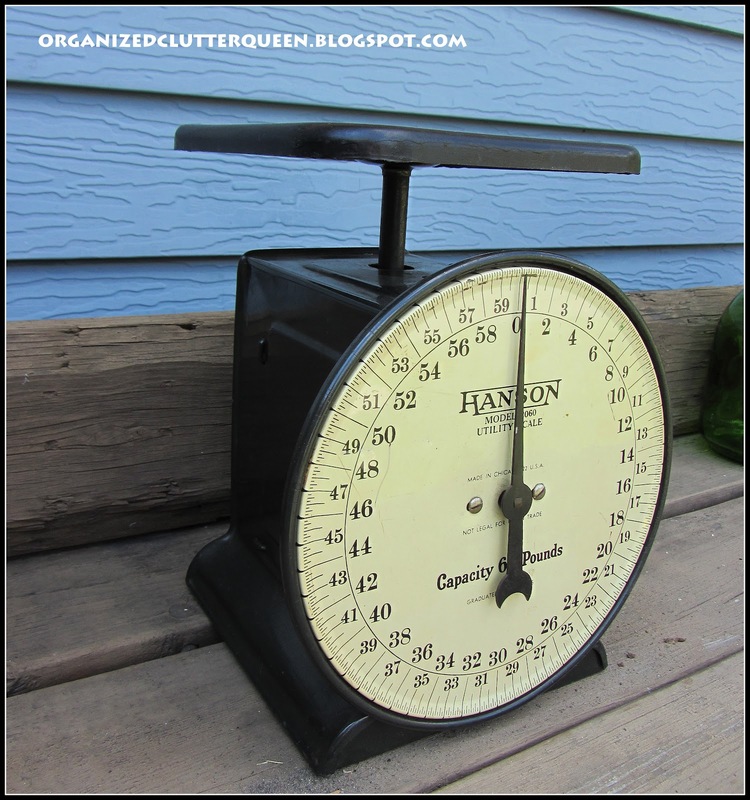 It's a little bigger than most kitchen scales, but it is vintage and in great shape. I love the face. Also this week, an Academy, heavy weight, silver over copper, rectangular silverplate tray. 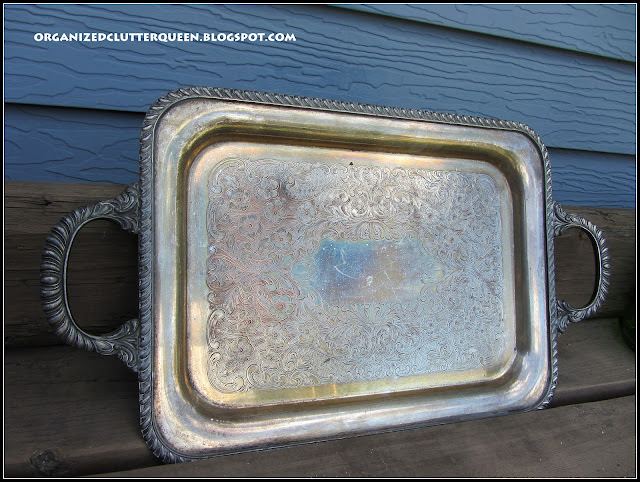 I haven't polished it yet but even if a some silver is gone, it's a great tray. It was $3. 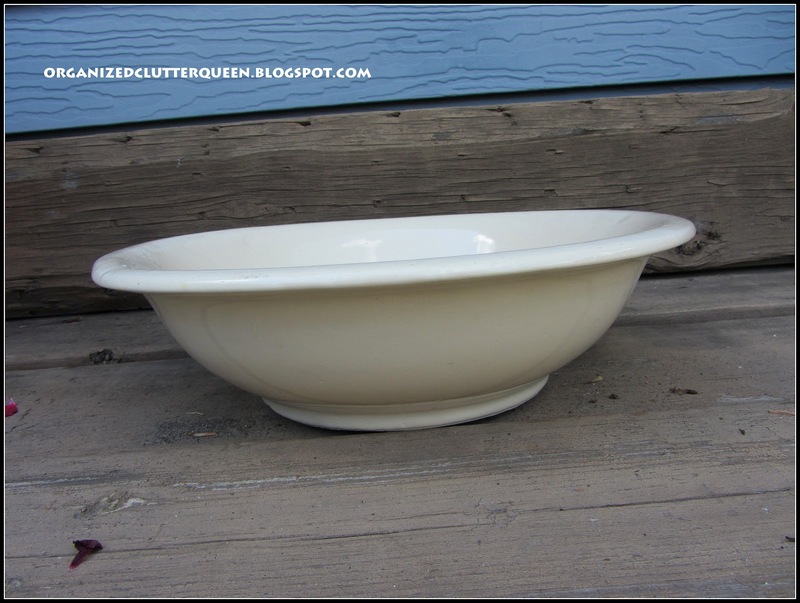 Also a McCoy flat, white bowl marked Mccoy 7515 USA. I paid $4 for it. It may have been part of a McCoy pitcher and bowl set. 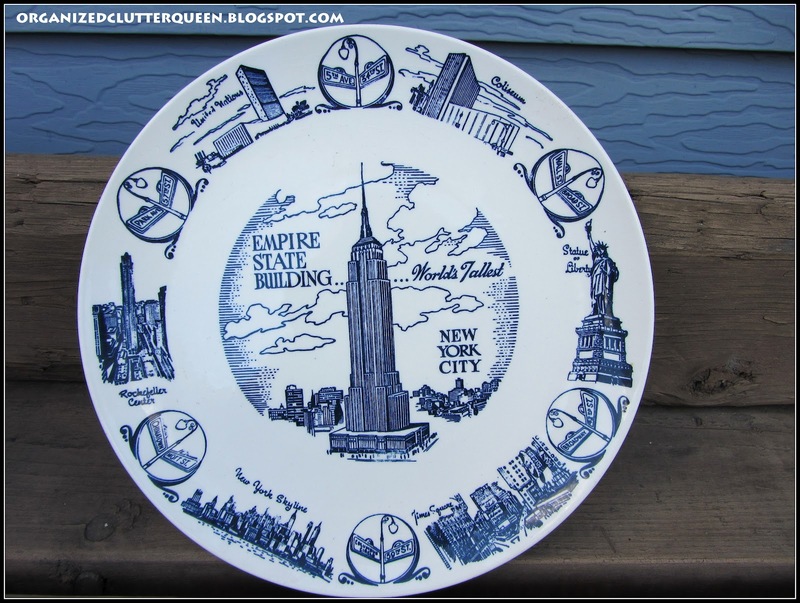 I normally do not pick up souvenir plates, but this Empire State Building plate in blue and white at $1 was too tempting to pass up. Remember my Ramsign enameled sign giveaway continues thru 7/31. Here. Carlene, I have thrift-shopping-envy! I LOVE your scale...what a beauty! $8 dollars is a wonderful deal! Great finds! I love thrifting! Great finds. I would have picked up that New York plate too! I love the Empire State Building plate. That scale looks brand new. 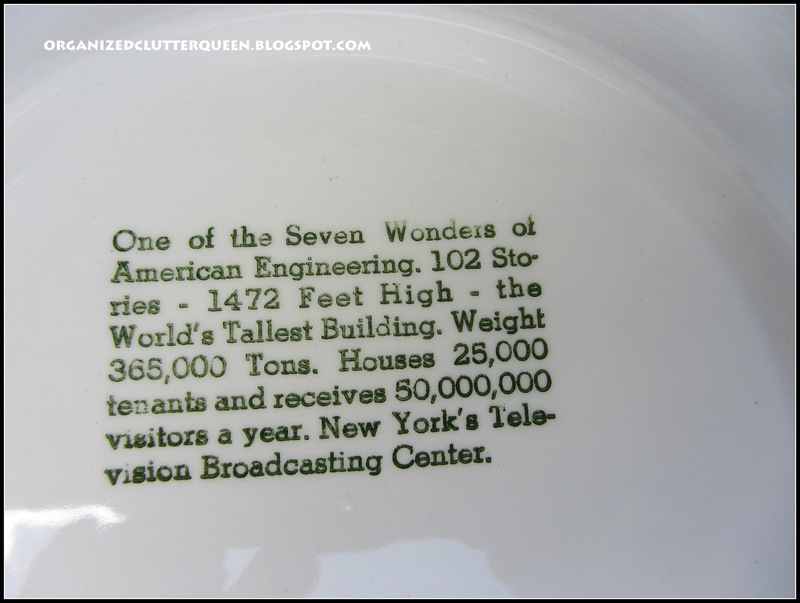 I love the history on the back of the plate. You got some beauties for great prices. The scale for $8 was a great buy and I love it! McCoy for $4? That was a steal. 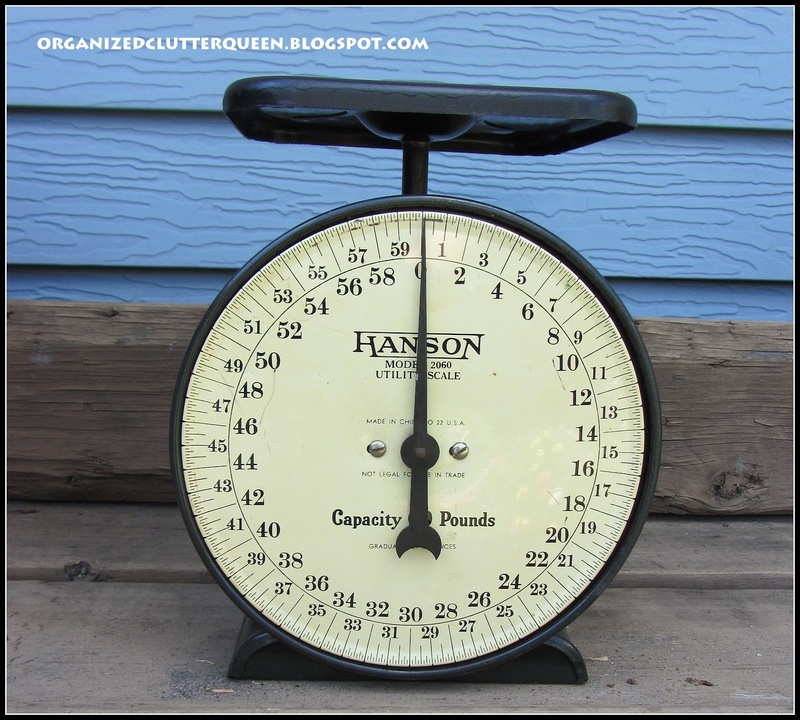 Your scale is in near perfect condition and only $8.00! Wow, great deal! Great finds! I bet you have something in mind for each one of them. . .
Congrats on finding a scale. I've been looking for a year and finally found one this weekend too - at the flea market. Yours is nicer though. The scale is simply wonderful--and in such great condition. The Empire State Building plate is really fun. Wow! you did great finding that scale for only $8.00! Love it! You got some great stuff. Finding stuff at good prices is the best! I like all your treasures. But, that scale is really wonderful! Thank you for sharing at TTf. I hope you have a terrific weekend! Great finds. The scale is the treasure of the month.